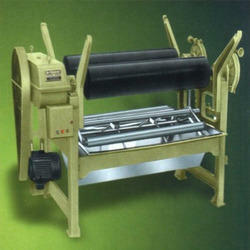 Our range of products include dyeing jigger machine. We also manufacture and export Dyeing Jigger Machine for complete bleach process of various Textile fabrics such as cotton, rayon, staples and synthetic. Our Jiggers are versatile in nature and can be used for Bleaching & Dyeing process in the textile mills. It is a dyeing machine in which fabric in open width is transferred repeatedly from one roller to another and passes each time through a dye-bath of relatively small volume. Jigs are also frequently used for scouring, bleaching and finishing. It is also suitable for very small capacity for dyeing smaller lots. Looking for Dyeing Jigger Machine ?